Cost to install a sauna varies greatly by region (and even by zip code). Get free estimates from hot tub and spa specialists in your city. Cost to install a sauna varies greatly by region (and even by zip code). The average cost of installing a sauna is $4,500. A sauna is a large or small room where one or more people can sit, relax, and enjoy dry heat. 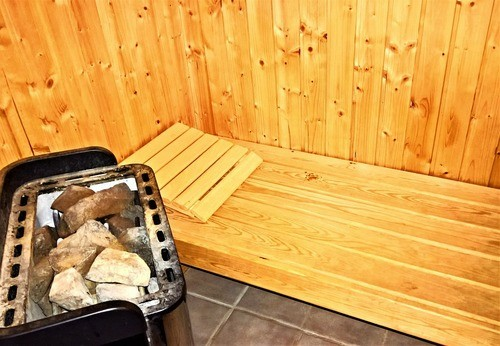 The temperature within the sauna is typically kept at 158-212 degrees Fahrenheit (F) and the relative humidity in the room hovers at 10-20 percent. The function of the sauna is to increase the body’s skin temperature to 104 degrees F. The skin’s heat spike causes the body to start sweating. Excessive sweating is believed to cleanse the body of toxins and improve cardiovascular function. Installing a sauna in your home allows you to enjoy it daily and reap the related health benefits. The average cost for an 8x5 foot custom built cedar sauna that seats 4 people is $3,000 - $6,000. One of the key deciding factors in the final cost of the sauna is the heating source. Electric, gas, wood burning, or coal heated saunas are the most inexpensive. An infrared heated sauna is the most expensive. When deciding if you will benefit from a sauna there are several pros and cons to take into consideration. A sauna may not be ideal for everyone, but for some it is the perfect home improvement option. There are several types of saunas that you might consider when trying to decide which one will work best in your home. The prices given in the table are all for 2-4 person saunas. 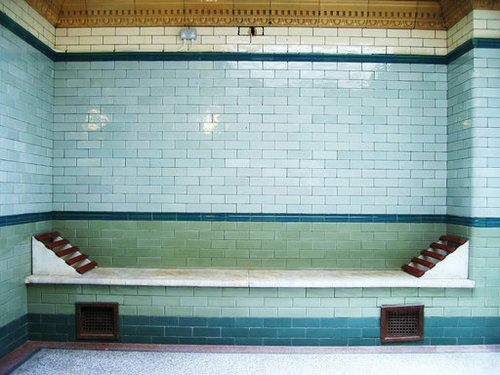 The most common saunas used. Many people like the ease of having a sauna indoors but others may like the traditional feel of an outdoor sauna. Both have their benefits and drawbacks. There is a variety of materials commonly used in various sauna constructions. 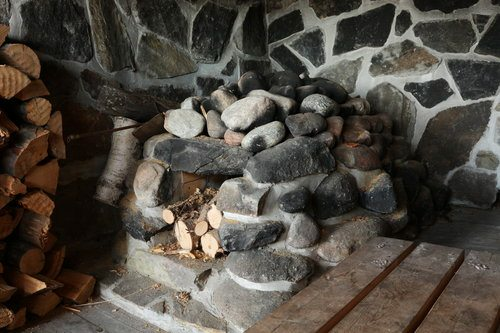 The woods used to construct a sauna can normally withstand excessive heat and moisture without twisting, bending, bowing, or warping. The temperature of a sauna averages 158 and 212 degrees F and it should never get hotter than 212 degrees F on the external part of the sauna. Ideally, a sauna must heat up within a reasonable time period. When picking a heater for a sauna it’s important to ensure that it is the right size for the sauna. You can choose from gas, electric, wood, or infrared heaters (available in carbon and ceramic models). An electric sauna relies on an electric heater to heat the space. It is quick and easy. Electric saunas are easily controlled with a thermostat. The average cost of an electric heater is $425. 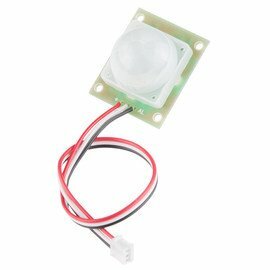 Easy to use with a thermostat to control temperature. Does not work without electricity, such as during a power outage. A gas or propane 3 sauna requires either gas or propane heater to operate. Most cities and suburbs have natural gas readily available to heat this type of sauna. 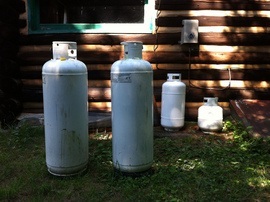 Propane-operated saunas rely on large propane tanks that must be regularly filled. A propane sauna is often used in areas where gas is not available. A gas heater costs around $2,400. More expensive than wood burning or electric heater. The initial cost of the wood-burning stove is higher than other types. A wood burning sauna functions on a supply of wood to operate. Wood-burning saunas are considered traditional and have been used for centuries. Does not rely on gas or electricity. A long term heating source that does not break down. Temperature is difficult to control. An infrared sauna relies on infrared lighting to heat the space. The infrared lights require electricity to operate. Infrared saunas have either ceramic or carbon heaters which are both highly pliable. Unfortunately, ceramic heaters often become too hot in a small sauna. Carbon heaters often do not readily raise the body’s core temperature. Ideally, to function best, an infrared sauna should have a combination of ceramic and carbon heaters. The average price is around $300. A good ventilation system is a necessity for any sauna. The fresh air creates a feeling of openness and also prevents the sauna’s occupants from becoming light headed. Prefab saunas feature pre-installed ventilation systems. Most ventilation systems feature an air inlet located at the base of the wall by the floor. The inlet sits on the same wall as the sauna heat source. A standard exhaust ventilation fan system averages $70-$120. The walls of the sauna should be both insulated and protected with a vapor barrier 4. A sauna with 2x4 studs usually has R13 insulation while R19 is used in a sauna with 2x6 studs. The ceiling insulation needs to be R26 or higher for optimum insulation. 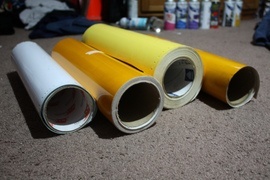 Insulation boards are often used. The cost to install insulation averages from $5.00-$7.00 per sq.ft. depending on the R value. 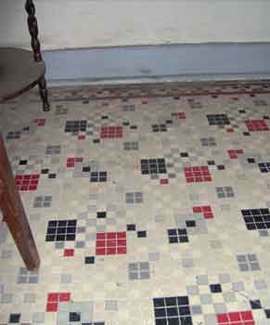 The floor of a sauna needs to be heat proof. 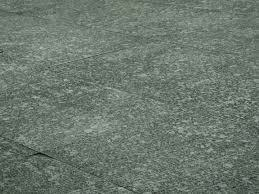 The four most common types of flooring used are concrete, vinyl 5, plywood 6, and adhesives. Sauna doors are insulated to help retain heat. They can have a window or not. Doors with windows in them tend to cost more (around $800) than doors without (around $600). Most are sealed with a rubber gasket and held closed with a magnetic closure. 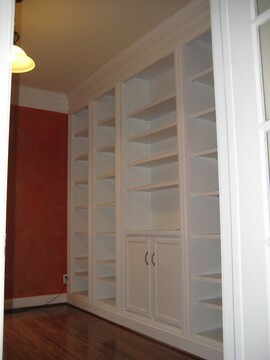 The height of the door is usually not less than 80 inches. Sauna lighting creates ambiance and comfort. 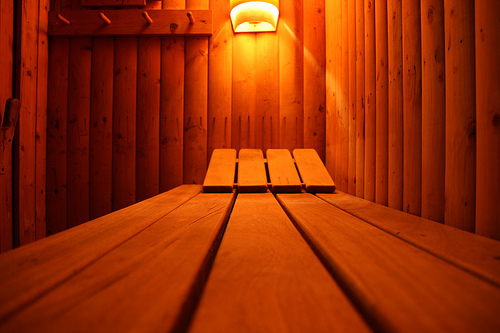 Many people choose colored lights to set the mood in their sauna. For example, red and yellow lights in the morning to energize or green lights in the evening for relaxation. Colored sauna lights average $300. Fiber optic and LED are both excellent light choices for a sauna, they average $100. Round and tubular shaped lights are both popular choices. Lighting is installed in the ceiling but can also be placed in the floor and walls. These extra lights average around $50 each. Overall, the choice of lights in a sauna is a personal one that reflects the homeowners’ taste. 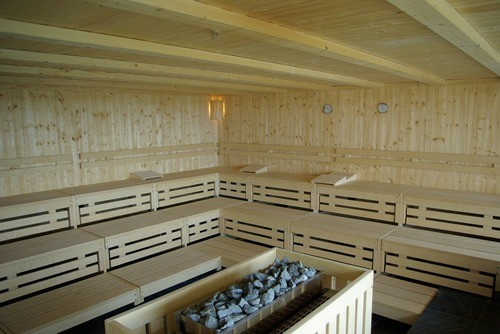 Most saunas feature a built-in 8 bench to comfortably seat the maximum number of occupants. A wood bench that seats one averages $85. A stainless steel bench that seats two averages $520. A sauna can be installed anywhere in a home that affords adequate space. Many people opt to place a sauna in the master bedroom, bathroom, or garage. There does need to be electricity and water readily available wherever you opt to install a sauna. If they are not available, you will need to have them installed. A plumber charges $45-$65 per hour. An electrician charges $65-$85 per hour. Remember, that the doors of a sauna open out so you need to make sure that you not only have enough space to place the sauna in the room but also a sufficient area for the doors to open outward. A custom-built sauna will require hiring a contractor to make the precise designs carry out the construction. The custom designed sauna must also be thoroughly insulated, especially in the ceiling where heat readily escapes. When installing either a prefabricated or custom-designed sauna, the homeowner will normally need to hire an electrician to install a 220 volt circuit in the home’s existing electrical panel. A 220 volt receptacle will also need to be located near the sauna. For such a job, most electricians will charge from $250 to $600 depending upon the complexity of the wiring and the materials needed. Many factors affect the cost of a custom-designed sauna. Most carpenters charge an average of $70 per hours plus the cost of materials. Overall, the cost to have a custom-built 4 person sauna that measures 8x5 feet professionally installed will average $7,140. A sauna will need to be swept out every few days. Also, many owners opt to use a specialized sauna cleaner to remove sweat stains and other oily buildups from the wood twice a year. Teak oil, bacterinol, or paraffin oil are all ideal for cleaning and deodorizing a sauna. The oils average from $10-$25 for 16 oz. An outdoor sauna will need to be stained every few years to protect the exterior from harmful UV rays. A gallon of wood stain averages $29. One gallon of wood stain will cover 150-300 sq.ft. per gallon. Sauna heaters should be cleaned once a year. Turn off all power, remove the metal grill and hose it off. Then remove any rocks and hose them off. Allow all items to dry and then replace. 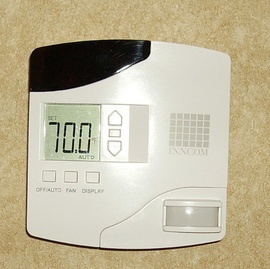 A sauna control panel lets the user control the temperature and humidity of the sauna interior. The panel averages $290-$600. Mood lights average $100-$1,000 depending on the kind and size. The lights change colors and typically range from blue to green. You can choose the color to fit the mood. A four-person sauna bench averages $85-$650 depending on the material. Many people opt to have speakers or a stereo installed in their sauna. The price of a radio/stereo can range from $100-$1500 depending on the system that you purchase. All saunas require adequate vents and air flow. Fans and air flow systems must be wired by an electrician, who charges $65-$85 per hour. The sky's the limit when designing your sauna. 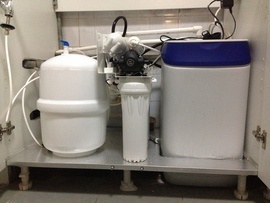 You can opt to have coals, steam generators, water softeners 9, radio players, salt injection and even infusions. Cost for such perks can run from $100-$2,000 depending on what enhancements you want to purchase. A carbon monoxide detector 10 is needed when installing a gas sauna. The average cost of a carbon monoxide detector is $75-$160. When having the parts of a sauna shipped you should always inquire how they will be transported. Prefabricated saunas often have free shipping. Metal is normally not used in a sauna unless it is stainless steel because other types can corrode. Stainless steel benches and handrails 11 are common, however. 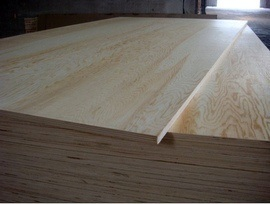 The wood of most saunas will require an application of wood preservative every few years. A gallon typically averages $30-$45 per can. Certifications needed for a sauna include RAL guidelines (the Quality Assurance Board for Sauna, Infrared Cabin & Steam Bath Construction), VDE (seal of quality for sauna control panels and sauna heaters, and Blue Angel which is an ecolabel for safe and environmentally friendly products. The oven size will depend on the size and the number of people that it holds. 3 and 6 person sauna oven with 4,5 kW output. 5 and 9 person sauna oven with 6,0 kW output. 8 and 11 person sauna oven with 8,0 kW output. 11 to 12 person sauna oven with 9,0 kW output. A small portable sauna that is already constructed and can be moved from location to location averages $150-$200. Installing a prefabricated sauna is very straightforward. A pre-built sauna comes with assembly instructions and all the parts that you will need for quick, efficient installation. It typically takes the average person less than 24 hours to set up the sauna and have it operational. Nowadays, a sauna can easily be purchased as modular units or kits. All that is required is a few tools. An 8x5 foot sauna that seats 4 people can be purchased for $2,640-$4,790. Most prefabricated saunas come with a five year warranty while a custom-built sauna would only have a warranty on the purchased components like the heater and door. There are numerous benefits to sauna versus steam rooms, and hot tubs. A sauna naturally improves the skin’s tone, helps circulation and induces sleep. 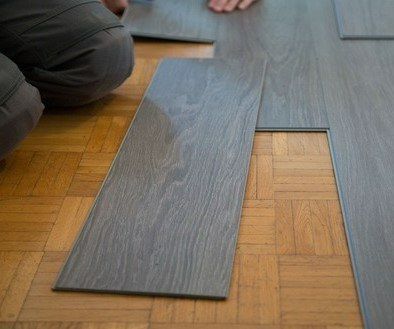 It also increases a home’s resale value. However, it is not good for children. The space required for a sauna can take up excessive room in a home or on the property. If a person is humidity-sensitive then a dry sauna is a better option than a steam room. Although a steam room offers the same physical benefits as a sauna, it works poorly in humid climates. A hot tub is another common way to ease sore muscles, improve circulation, and relax. However, unlike a sauna, a hot tub is far less energy-efficient. How much does it cost to put in a sauna? A prefab, 4 person kit that you install yourself averages $2,640-$4,790. A custom-built sauna averages $3,000-$6,000. How do you heat a sauna? With an electric or gas heater. You can also use wood or infrared heat. Is a sauna good for you? Is an infrared sauna good for you? Yes, it can be very good for your health as it dramatically improves the body’s circulation. How do you build a sauna? You can order a prefabricated kit that comes with everything that is necessary to build your own sauna or you can hire a contractor to do a custom build. How much power does an infrared sauna use? 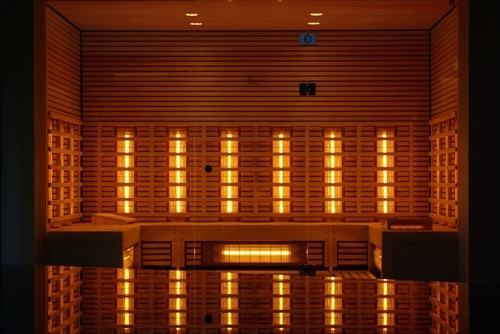 A 1000W sauna, run for one hour, will generally use 1 KWh of electricity. How much does it cost to build a steam shower? How much does a sauna cost to run? A typical 0.45 kW heater will cost approximately $0.50 to run for one hour continuously. How much does it cost to build an outdoor sauna? ​It will cost anywhere from $3,000-$6,000. 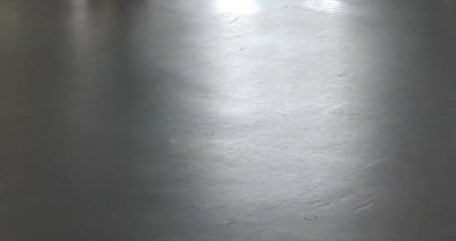 7 Linoleum: An inexpensive flooring material made from linseed oil, resins, recycled wood flour, cork dust, limestone and mineral pigments, on a canvas or jute backing. How much does it cost to install a sauna in my city? Cost to install a sauna varies greatly by region (and even by zip code). To get free estimates from local contractors, please indicate yours. This cost guide has been remade, giving a more detailed description of the item and the project of installing it. First, a summary stating the price of the product was added at the beginning of its description. All sections were replaced with more detailed ones, including the pros and cons of installing a sauna, the different types of saunas, their prices, and their main features. There is also a comparison between the characteristics of outdoor and indoor saunas and an explanation of the materials needed to construct a sauna. There is now detailed information about the different elements of a sauna, such as the heater, insulation, ventilation system, flooring, door, lighting, and seating. The section “Installation considerations and labor” includes information about the place where the sauna should be installed and about the different professionals that participate in this process. Moreover, the section “Maintenance” contains information on the best method and products for keeping your sauna clean. Information about enhancement and improvement costs is now available, as well as a section dedicated to additional considerations, such as the consequences of using metal in saunas or the need to have a carbon monoxide detector.